Apple Business Chat is available for all T-Mobile customers, allowing them to interact with T-Mobile's support staff directly in the Messages app. 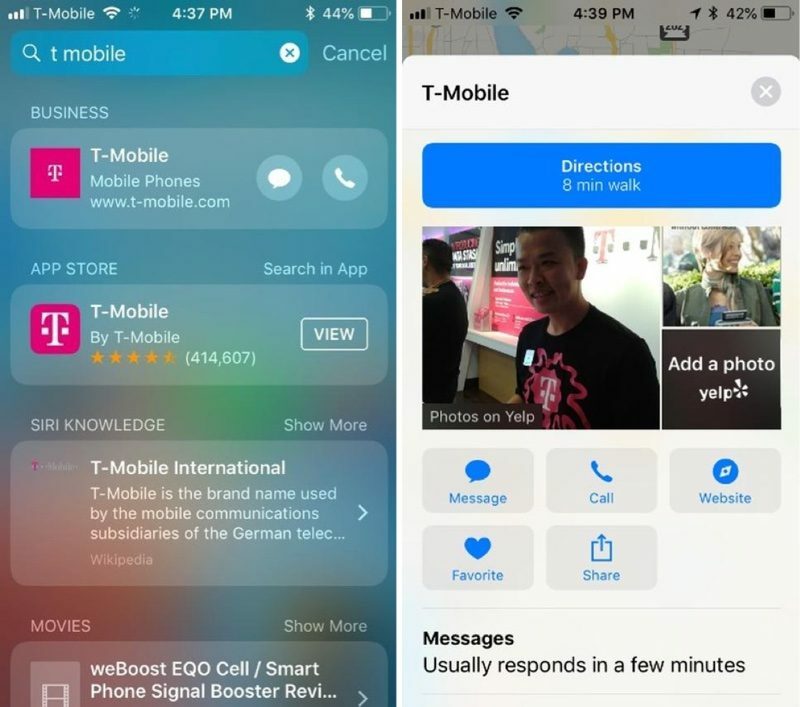 T-Mobile says that its customers can access Apple Business Chat by searching for T-Mobile and tapping on the "chat" or "message" icon either through the iPhone's main search window or in Apple Maps. Business Chat can be used to change a rate plan, change an address, purchase a new smartphone, ask questions, make payments, check plan details, and more. T-Mobile says customers can also send screenshots for "quickly and easily" troubleshooting issues. At the current time, Apple's Business Chat feature is limited to the United States. Many other companies have previously announced support for Business Chat, including Zendesk, Lowe's, Discover, Hilton, and Wells Fargo. Anybody else unable to see the Business Chat feature for iMessage when you search for “T-Mobile” in Spotlight? Only way I can do it is to go in through Apple Maps. It shows for me, but the easiest way to initiate it is to use the iMessage app in the app drawer, instead of using Spotlight to search for it. Do you search for T-Mobile in the iMessages app or something? Nevermind. The TMobile iMessage app randomly popped up and it works now. If your messages are blank how do you get the app drawer to come up though? I keep my messages empty so it doesnt let you click on the drawer icon without entering a contact first. It seems like they could make this easier. Does it? I’m not seeing that. Only when I search in Maps or Siri. Does this chat with T-Force though? Or is it some other dedicated group. The T-Mobile quick link automatically appears at the bottom of iMessage.